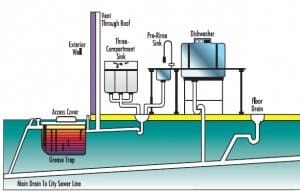 A grease trap is a specialized plumbing device specifically designed to capture greases, along with other solids and semi-solids, before they can wash away down drains and enter the sewer lines. 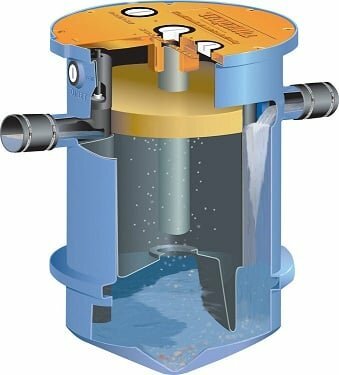 Although almost all wastewater contains trace amounts of oily substances, these amounts are small enough, and of the right chemical composition, to be naturally broken down by bacteria inside of septic tanks and sewer systems. However, the vast amounts of grease produced by restaurants and commercial kitchens is far too much for normal septic bacteria to handle. Lard, vegetable oil, bacon grease, and other fats and cooking greases are made up of a class of biochemicals known as “lipids.” Because of their molecular structure, lipids tend to be hydrophobic– this means they don’t break down easily in water, so they won’t just dissolve away. Because of this, they’re very likely to build up inside of drains and sewer lines, leading to potentially serious clogs. It can also disrupt wastewater processing in high quantities, so in most states– including New Jersey — grease trap installation or replacement may be legally required for your business. Like most states, New Jersey laws mandate that for certain businesses– largely restaurants, as well as other situations like large cafeterias for employees or hotel guests– grease trap installation is mandatory. 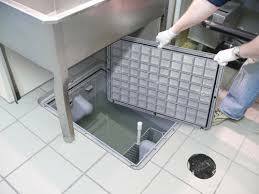 Businesses that produce large amounts of grease from cooking must have grease traps installed. 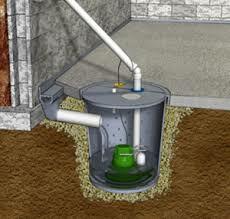 Grease traps must be installed with their own separate line into the plumbing system. 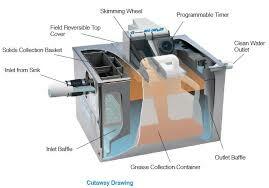 Grease traps must be located close enough to the wastewater source, so that the grease will separate more easily. Grease traps must be corrosion-resistant and watertight. Grease traps in a commercial kitchen must be at least 750 gallons. Grease traps over 750 gallons should be sized according to a special equation. The equation is Q=(D)x(X)x(12.5)xLF. Q is the size of the grease trap, measured in gallons. D is the number of dining area seats in the restaurant. HR represents the number of hours that you’re open, and LF is a variable called the “loading factor,” which is determined according to your business’s location. For non-restaurant kitchens, such as cafeterias in corporate headquarters or hospitals, an alternate equation is used: Q=(M)x(11.25)xLF. “M” is the number of meals served per day. Basically, if you’re a restaurant, you need grease trap installation, and your grease traps need to be up to code. If they’re not, it could endanger your business, as well as your local sewers. The grease itself is pumped out on a monthly basis, and can actually be recycled. 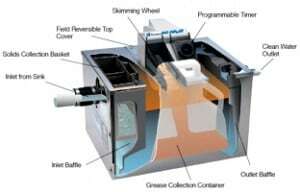 Need grease trap installation for your business? 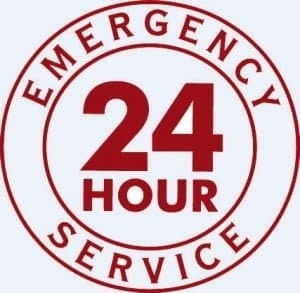 At A1 grease trap, we provide professional grease trap services in Bergen County and other nearby areas of New Jersey. Our experienced sewer and drain service contractors will make sure your grease traps are up to code, with correct installation and correct sizing to keep your kitchen grease out of your sewer lines. To find out more, call us any time at 201-645-0888.